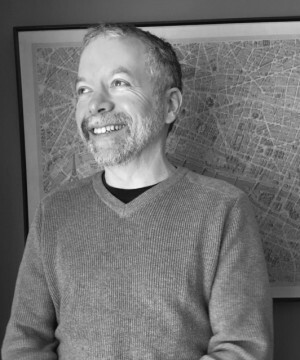 Ralph Black is the author of the poetry collection Turning Over the Earth, from Milkweed Editions, and its chapbook collection The Apple Psalms, from Paper Lantern Press. He is the recipient of the Anne Halley Poetry Prize from The Massachusetts Review and the Chelsea Poetry Prize. He teaches at SUNY Brockport, in Upstate New, where he is Co-Director of the Brockport Writers Forum. With nods to Brahms and Haydn, Pablo Neruda, Theodore Roethke, and Christopher Smart, Ralph Black’s poems tell of a passion for being in the world, a desire to make meaningful contact with the sensuous, both natural and human, while exploring the territory of longing and loss, love and family, wild land and city street. His poems have appeared in the Carolina Quarterly, West Branch, Georgia, Gettysburg and Mid-American Reviews. He lives in Rochester, NY with his wife, two daughters, and a small menagerie of critters.